SHINKAWA In 1993, stared his career as a DJ in Japan after influenced by London club scene such as “ TRADE ”. 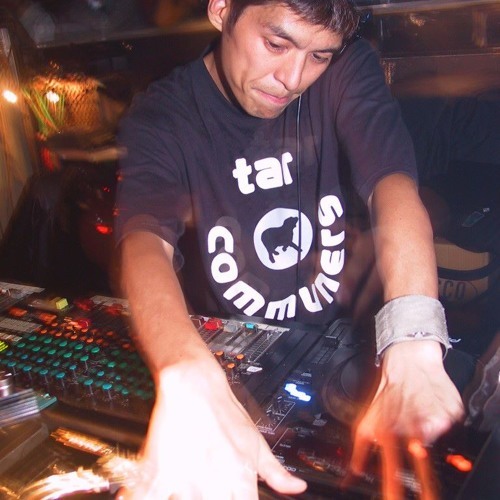 Having played the biggest clubs in Japan such as “ GOLD ”, “ DELIGHT ”,” VELFARRE ”,” LUNErS ”, “ MANIAC LOVE ”,” UNDER LOUNGE ”, SHINKAWA developed his career into the world; toured in Perth(1998), UK(2000,2001),China, London, Amsterdam(2002). In terms of production, he released works includes “CROSS” with his cover of the top of atmospheric gay track, COME AND RESCUE ME, “OVER”, and “ Pump Up The Media ” collaborated with a well-known Italian label, “ Nukleuz “. His sound always brings HAPPINESS to the listeners and the audiences with his unique way based on House,Techno.